Start your engines and head to PDQ! Our North and South Carolina restaurants are teaming up with Charlotte Motor Speedway, the Bank of America Roval 400 and our friends at Coca-Cola Freestyle this September to offer an awesome ticket deal. 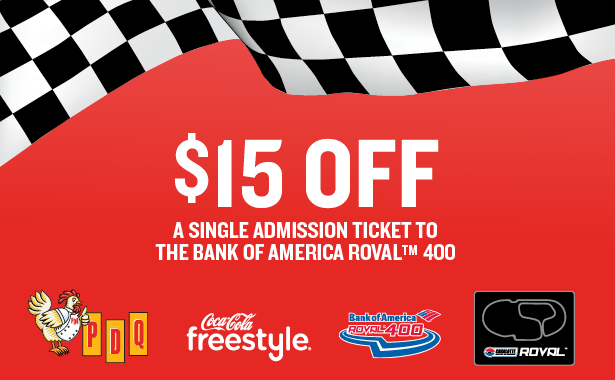 Visit any North or South Carolina PDQ now through September 28 and purchase a Combo Meal and a Coca-Cola Freestyle beverage to receive $15 off a single admission ticket to the race on September 30. Click here to find the Carolinas PDQ location near you.